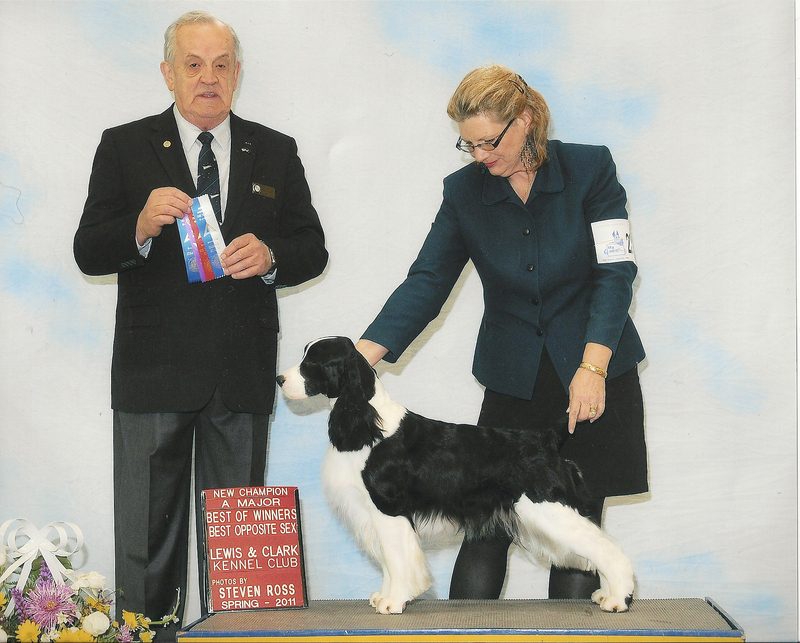 and won a Group 4 behind some well known Sporting Dog group winners. a feat not easily done among the top males being shown. In 2014 Lily was in the Top 10 in the Nation, for females! She also started, and finished, her Canadian Championship during the weekend of the Canadian Nationals! All my dogs are sold on a NON-BREEDING contract, unless they are successfully shown to their Championship and pass all health tests. I do not allow any breeding of my animals until they are 3 years old. There is good reason for this. This must be CLEARLY understood by anyone purchasing from me. 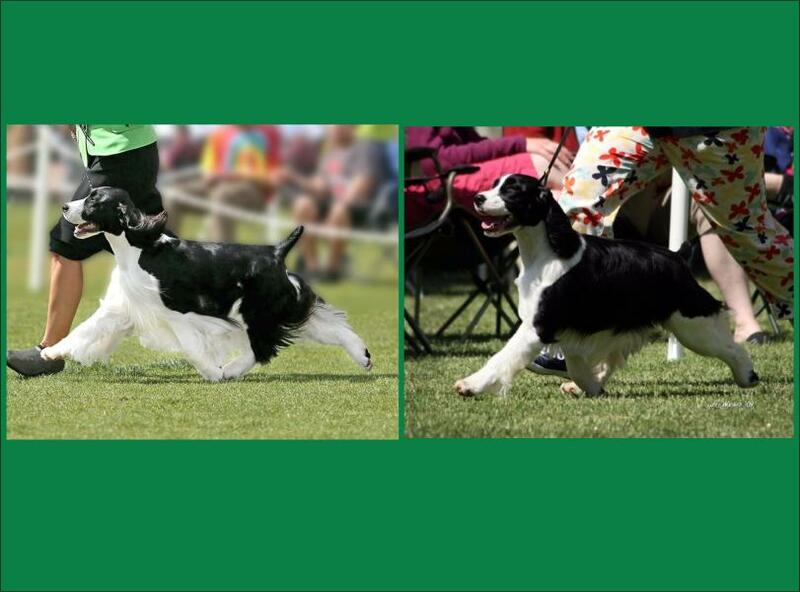 Majic Kennels would also like to welcome aboard Katie Effert of Emerald Isle Springers! Movement shot taken at the Santa Clara Specialty in June 09 by Jill Wagner. Garden photo by John Erickson. 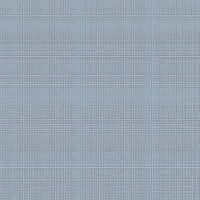 These pictures maybe not be copied or used in any form. Lily is from a pedigree I have long admired. Silly Lily, as we call her, is the funniest and the SWEETEST dog! She is so much fun to show! Her 2nd weekend out she won a major reserve!! 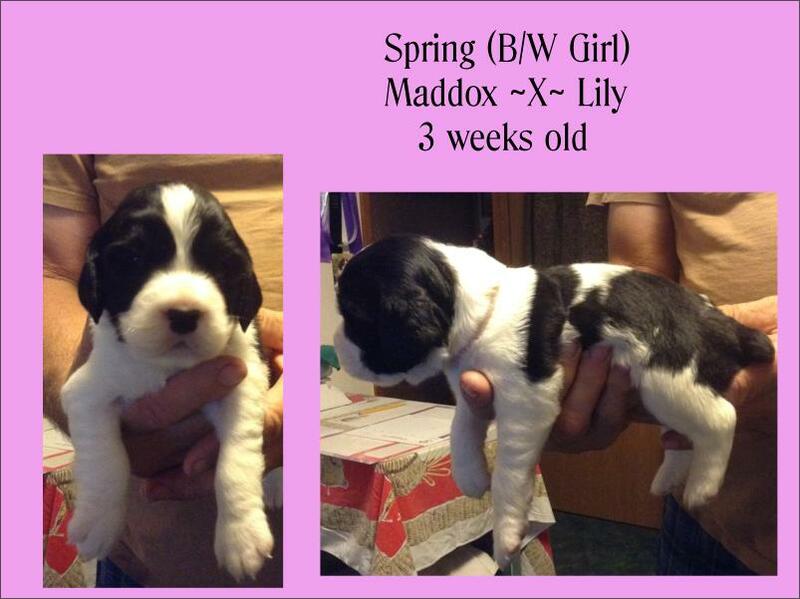 She makes everyone inside and outside the ring smile at her silliness and pure joy of being a little spaniel. I have never seen a dog that justs wags her tail for no apparent reason then because some happy thought goes through her mind! Lily took a little break from showing and came back gang busters! 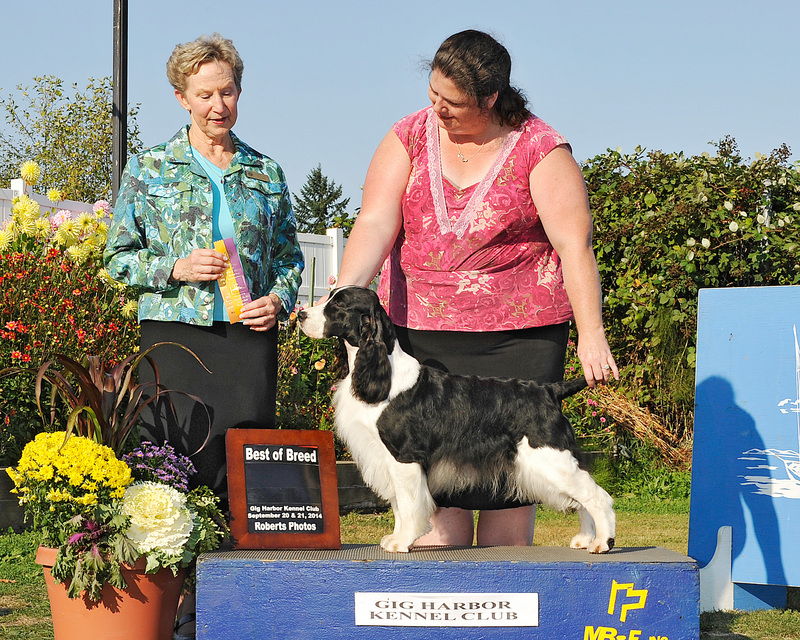 She won 3 of the 4 days at Linn County. all from the Bred By Exhibitor Class. 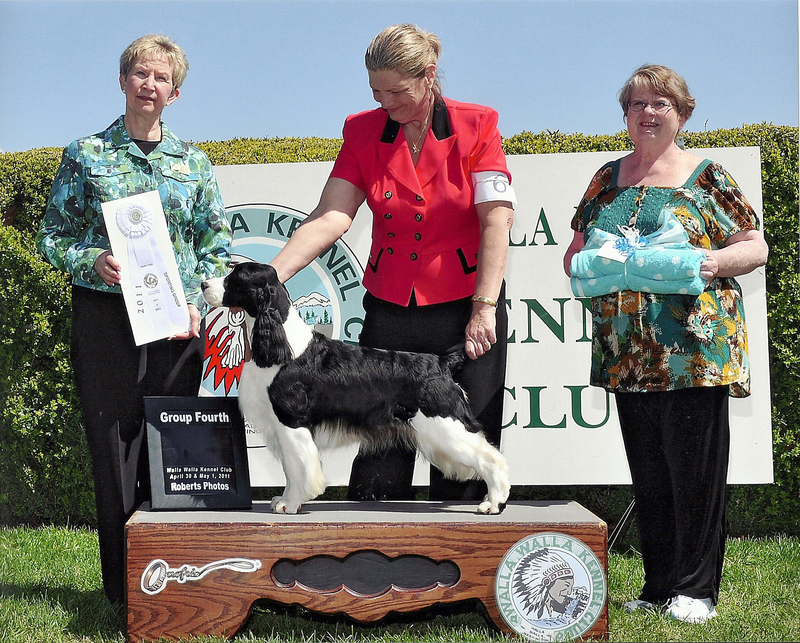 Lily went Best Puppy at the Santa Clara English Springer Spaniel Specialty under Judge Roger Orton. She also placed or won her classes both days. just outside of St. Louis, Mo. like crazy just before we left. She is all but buck nekkid! 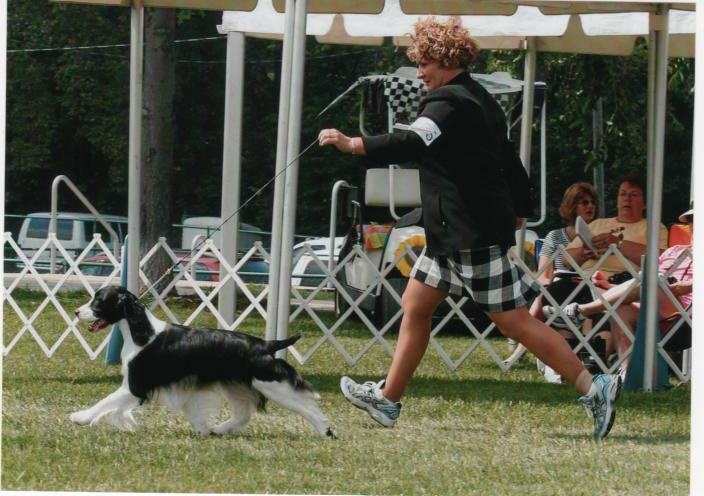 It took a long time for Lily's coat to grow back to a respectable length.So she was held out from the show ring for over a year. 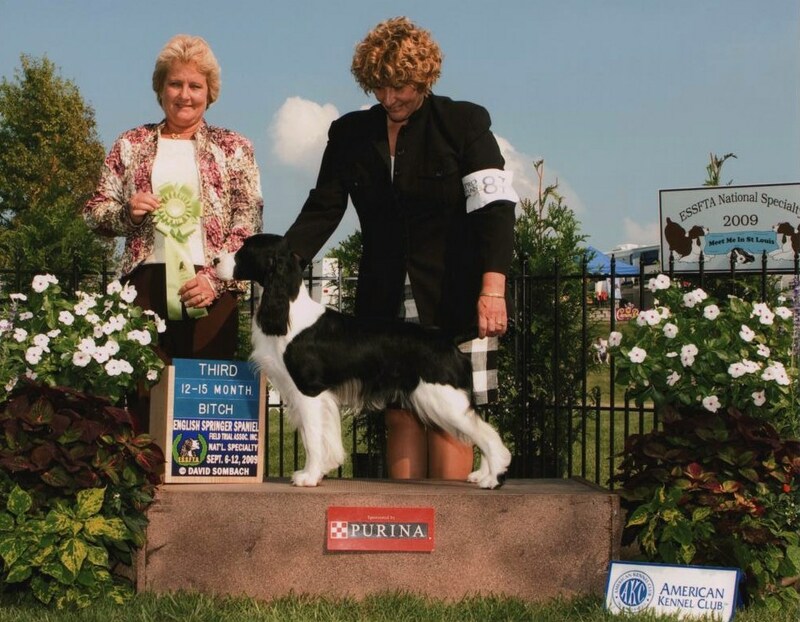 She placed again at the 2010 Nationals under breeder judge Betty Ann Hale. 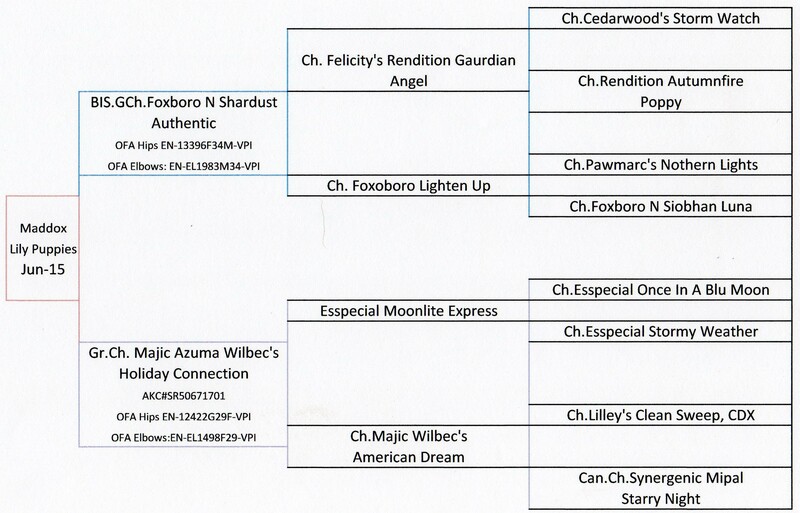 She also went Best of Breed from the classes, in October. She is quite the dog!